It has become "the new normal," a structural part of 21st-century life. And the jihadist threat against the West is just as strong now as ever. These are the conclusions of "The Legacy of Syria: Global Jihad Remains A Threat to Europe," a new report from the Dutch intelligence agency, Algemene Inlichting en Veiligheids Dienst (AIVD). Indeed, according to its report, the demise of the Islamic State has proved to be just a hiccup in the ongoing efforts to found a caliphate in the Middle East. Thousands of ISIS sympathizers still walk freely in the streets of Europe and across the West, and "as a result of the conflict in Syria, the [global jihadist] movement has grown and professionalized." Hence, while there have been fewer ISIS-driven attacks since the fall of the Caliphate, the AIVD does not expect the trend to last. Rather, both through propaganda and the international interactions made possible through the internet, jihadists are increasingly able to organize attacks, particularly as ISIS becomes an underground movement. Further, jihadists have recently turned to more "everyday" kinds of weaponry, such as cars or trucks and knives, attacking in public spaces that are much harder to protect, from the London Bridge to the Ramblas in Barcelona to plazas outside of railway stations in the Netherlands. The media and even counterterrorism experts tend to refer to those who execute such attacks as "lone wolves." Not so, according to the AIVD. ISIS has shown itself to be extremely proficient at inspiring potential jihadists, even among those who have never fought in the Islamic State or even had direct contact with ISIS members. Hence, says the agency, though so-called "lone wolves" may have prepared and executed their attacks on their own, "they are indeed part of a (virtual) jihadist network." That network also may often include others who are not directly connected with ISIS. But some ISIS leaders continue to actively pursue sympathizers via social media, encouraging them to attack, reviewing potential targets, and providing advice along the way, states the report. Such efforts appear to be part of the final plans ISIS spokesman Abu Mohamed al-Adnani announced before his death in 2016, when "he declared the duty to perform terrorist attacks above the duty to come to the so-called Caliphate," the AIVD says. And it's not just ISIS. al-Qaida is resurgent, and working to reclaim its place as the leader of global jihad. Indeed, the AIVD warns, it would be a mistake to think that al-Qaida is no longer a serious player in the "jihadist-terrorist threat." "Al Qaida is larger and more widespread geographically than before the terror attacks in the US," thanks to a wide network of affiliate groups, the report states. And even as it strengthens its presence and activities in Syria, it continues to view attacks against the West as a crucial part of its mandate. Under the charismatic new leadership of Osama bin Laden's son, Hamza, al-Qaida is hoping to appeal, as ISIS did, to sympathizers worldwide, particularly Western Muslims who would be prepared to wage jihad at home. Hamza has become an important figure, the AIVD believes, in part because he has never criticized ISIS, as other al-Qaida leaders have. The hope for al-Qaida is that he will therefore be able to recruit former, "disillusioned," ISIS members to bring them to the al-Qaida camp. Not that the name much matters – al-Qaida, ISIS, Jabat al-Nusra, whatever. "For a number of jihadists, the jihadist idea is the binding factor, and the value of the jihadist 'brand name' less important," says the report. It should be noted that for the victims of such attacks, the brand name doesn't much matter, either. The AIVD also finds that a 2017 call by ISIS leaders to take a more active role has been effective. In May, for instance, France24 reported that, "Over the last four years in France, 22 women who had not been abroad to join the IS group have been arrested over their involvement in plans to carry out 12 terrorist attacks on home soil." And in the UK, two British members of an all-female cell with ISIS ties received life sentences last August for plotting a terrorist attack. The danger these returnees pose is significant, and not just because of their capacity, through their military and battle training, to wage attacks in the West. Also of concern is their hero status among jihadist sympathizers and wannabes. "These jihad veterans can, with their status and experience, expand existing networks [and] strengthen and build new (transnational) networks," the AIVD warns. 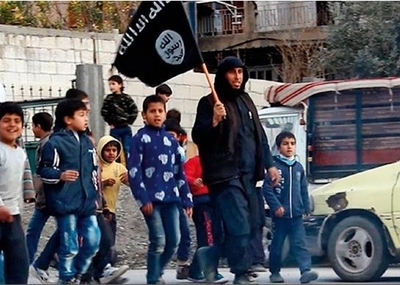 And finally there are the so-called "cubs of the caliphate," children who were either brought to the Islamic State by their Western parents or were born there, and also are now returning. Such children can not only inspire schoolmates once they begin attending (or return to) schools in their land of origin, but older children will likely, like the "jihad veterans," have formed bonds with others their age in other countries. Again, the possibility of transnational jihadist ties could form a threat in the long term. Hence, says the AIVD, "the attractiveness of the jihadist ideology is expected to remain, even without any further catalyst such as the conflict in Syria. Because of this, global jihadism, both in the short- and long-term, will continue to form a threat."